Cooked in foil, this recipe is quick, easy and requires almost no clean up. What else could you demand from a dinner recipe? Especially one you have to make while the kids are off school! 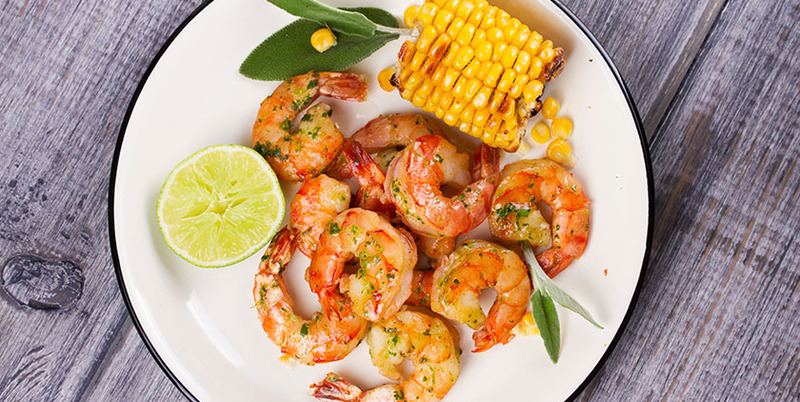 Allow us to introduce you to this week’s Summer Series recipe – Cilantro-Lime Shrimp Foil Packets. It’s fresh, zesty and serves four… or two people who just crushed a workout. If you want to add carbs, use jasmine rice as a base to soak up the juices. Or grab a few corn tortillas and serve the shrimp mixture up as tacos! Add shrimp, corn, zucchini, garlic, cumin, red pepper flakes and cilantro to a large bowl. Drizzle with olive oil, season with salt and pepper and toss until seasoning is evenly distributed. Tear off four large pieces of foil. Evenly divide the shrimp mixture between the foil. Top each with a pat of butter and lime rounds. Seal. Heat your grill to high. Place your foil packets over direct heat and cook until the shrimp is pink, about 10 minutes. Remove the foil packets from the grill. Dump the contents onto plates, toss the foil, pat yourself on the back and enjoy!